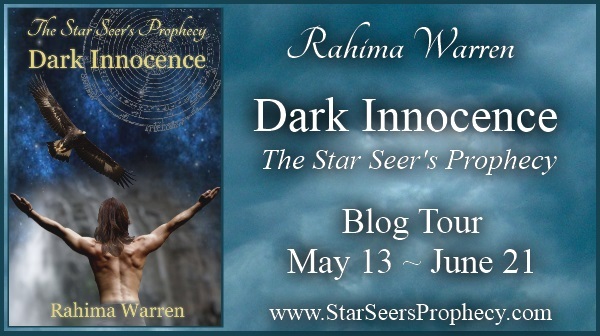 Rahima Warren is the author of Dark Innocence: Book One of The Star Seer’s Prophecy. In honour of Dark Innocence coming out as an e-book, Rahima is doing a blog tour, which includes this guest post and a book giveaway. Writing a fantasy trilogy was not one of my life goals. I have loved reading fantasy since I could read, and always admired the amazing creative imagination of the authors. I never imagined being one of them myself. Much to my surprise, I have now joined their ranks. The character in my head, whose name turned out to be Kyr, had been showing up in my dreams and daydreams, and wouldn’t go away no matter what I did. He was persistent and insistent and irritating! So I finally wrote this little story about him. Instead of banishing him, I opened the door for him. He moved in and took over my life! My only preparation for writing a fantasy trilogy was five decades of reading fantasy and sci fi novels. A few of my favorite authors are Ursula Le Guin, Charles de Lint, C.J Cherryh, Sheri S. Tepper, and Patricia McKillip. However, I did not quite follow in their footsteps. 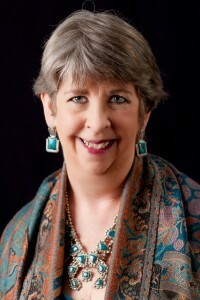 My training and career was in Jungian psychotherapy and dreamwork, and expressive arts therapy. From these, I learned to trust the unconscious and to allow it free expression through art and writing. I applied the same principle to writing Kyr’s story, writing whatever Kyr “showed” me without censoring or editing. It was my secret passionate, creative, joy to freely write his story, never thinking I’d show it to anyone. 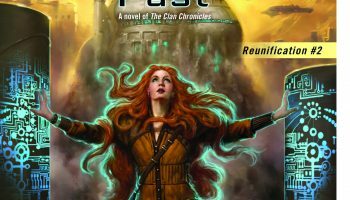 I loved writing about Kyr, who is not the usual intrepid hero of many fantasies. His is the hard path of the inner journey toward wholeness. Born and raised as the obedient slave of the evil Soul-Drinker, he knows nothing but enduring and inflicting pain at the whims of his master. Rescued, he begins to learn that there is kindness, friendship and love in the world. This knowledge brings home to him the terrible things he has done as a slave. Overcome with remorse, he seeks to do penance. Eventually, he has to face his own pain and forgive himself in order to become whole. It was soul-satisfying to me to capture in writing exactly how Kyr would feel each step of the way on his healing journey. It was fascinating to watch the other characters in the story emerge and develop as I revised and rewrote: twin brothers, one a Healer-Mage, the other a Warrior-Mage, both burdened with fulfilling the Star-Seer’s Prophecy; Luciya in love with one, desired by the other; Tenaiya, a healer; Svahar, the Warden of the Great Tree; Jolanya, the Kailithana, a Priestess-Healer with whom Kyr falls in love. I had fun discovering their secrets and the complexities of their relationships. Another element that I enjoyed weaving into the story was the beauty and healing power of Nature, especially the Great Tree, a vast, semi-sentient oak with healing powers. And I loved evoking Zhovanya, a non-dualistic Goddess of Life and Death, Light and Dark, Who asks Kyr to be Her Vessel. Once I had written a first draft of the entire trilogy, I finally knew what the story was about, and then reshaped it quite a bit. Then I realized I needed help, so I found a wonderful editor, and read lots of books about fiction writing. Many revisions later, Dark Innocence: Book One of the Star-Seer’s Prophecy was published (Rose Press, 2011). Now I am celebrating the e-book release of Book One with my first blog tour. I’m looking forward to finishing the revisions of Book Two: Difficult Blessings, and Book Three: Dangerous Bliss. 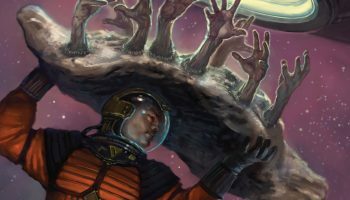 What do you love about writing and/or reading fantasy? Is there a particular scene that touches your heart? The “twin-souled dark innocent,” Kyr, is a youth born and raised to blindly carry out the Soul-Drinker’s brutal commands. At first, Kyr’s one desire is death, the only escape from the Soul-Drinker’s hellish rule. Just when he is about to get his wish, the secret Circle rescues him. Now he has to choose between the familiar easy path of despair and death, or the hard path of healing, living, and a greater destiny, about which he knows nothing. How can a slave who has known only evil, pain and obedience choose to become a man of courage and compassion, and fulfill the Star Seer’s Prophecy? 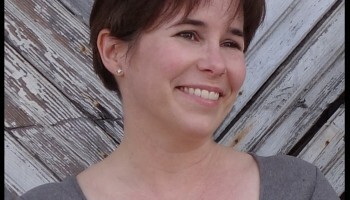 [Guest Post] Julie Czerneda on her love of bookstores + Giveaway! Thanks so much for hosting my blog tour and guest post!